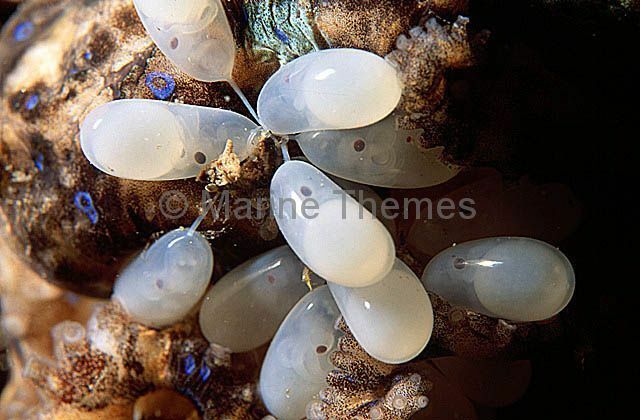 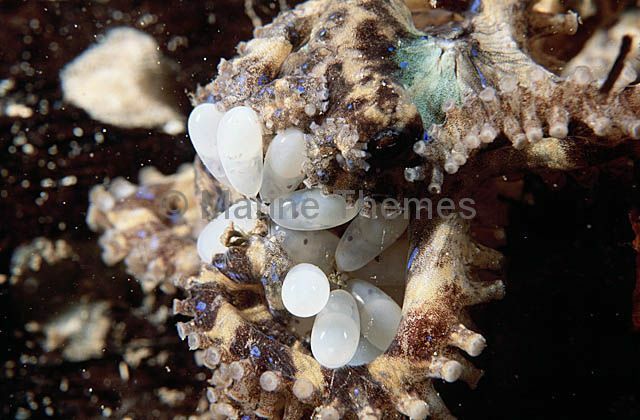 Southern Blue-ringed Octopus (Hapalochlaena maculosa) Female bearing eggs. 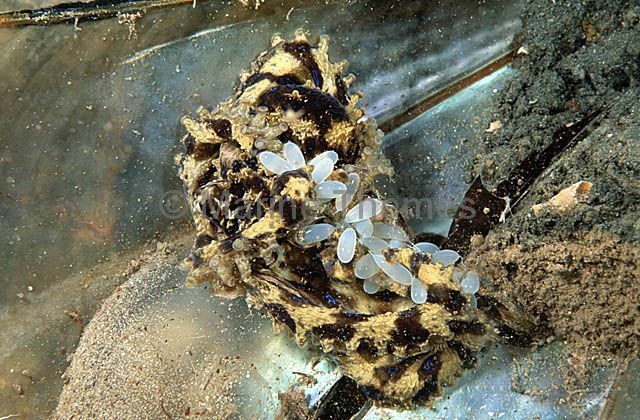 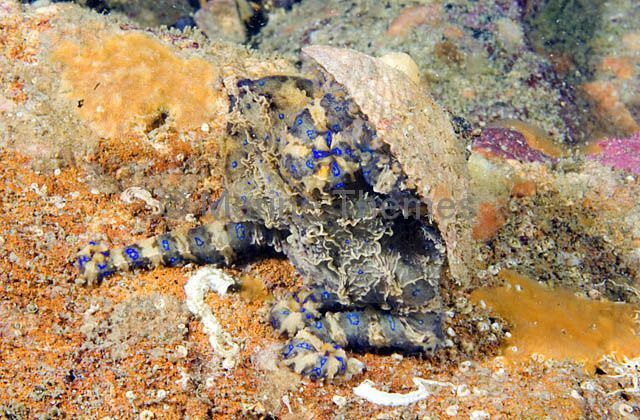 Southern Blue-ringed Octopus (Hapalochlaena maculosa) Female with eggs sheltering in mussel shell. 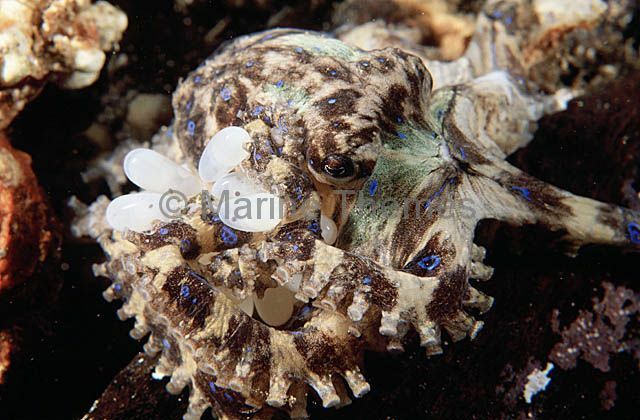 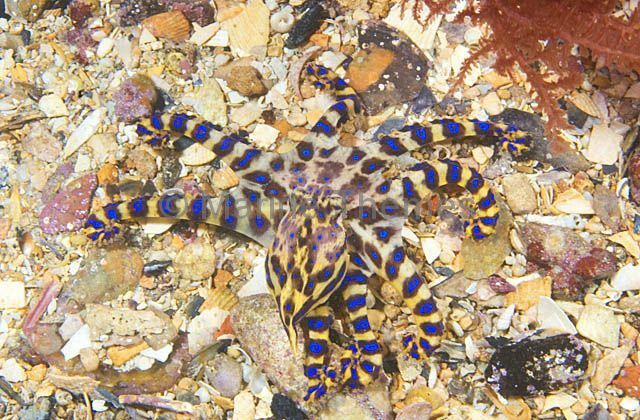 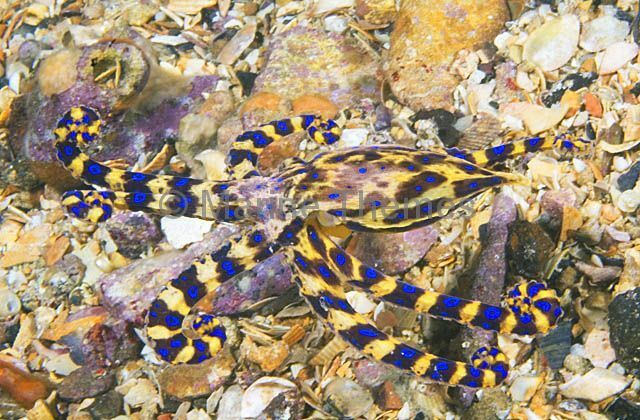 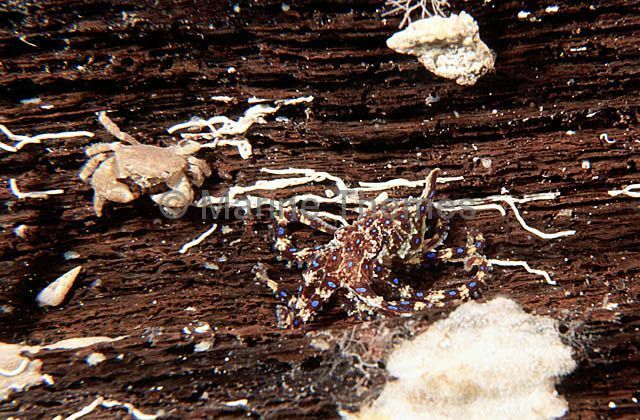 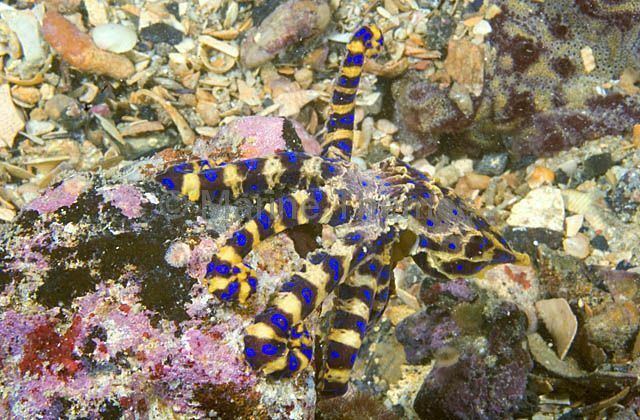 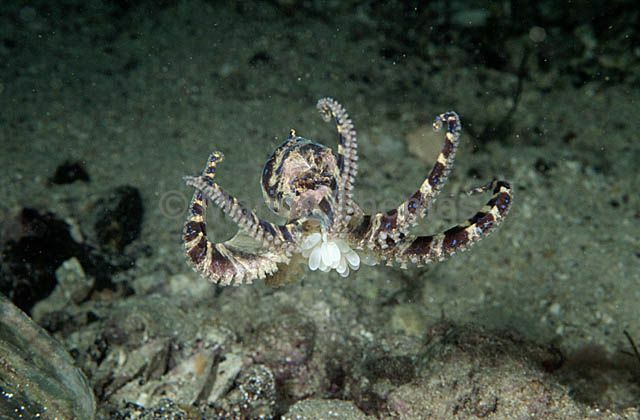 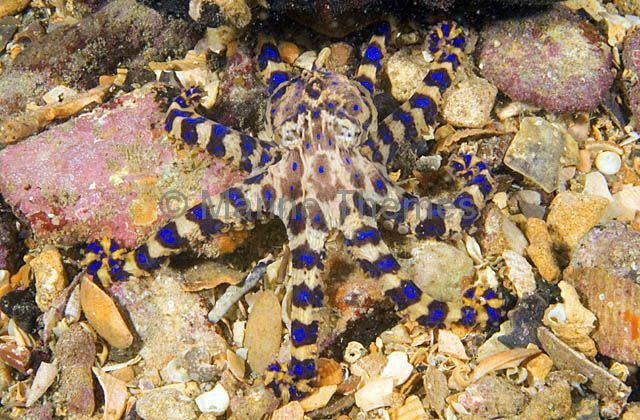 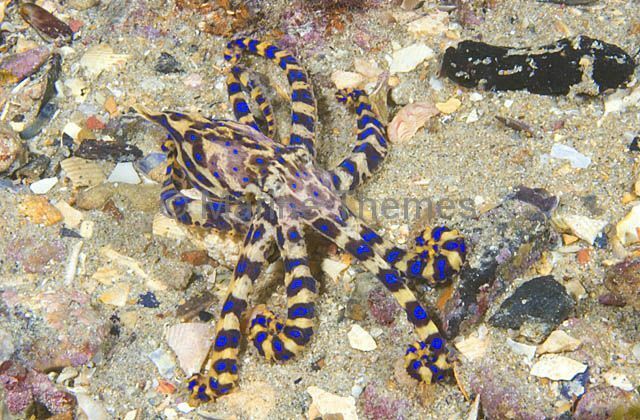 Southern Blue-ringed Octopus (Hapalochlaena maculosa) using shell for camouflage and shelter.